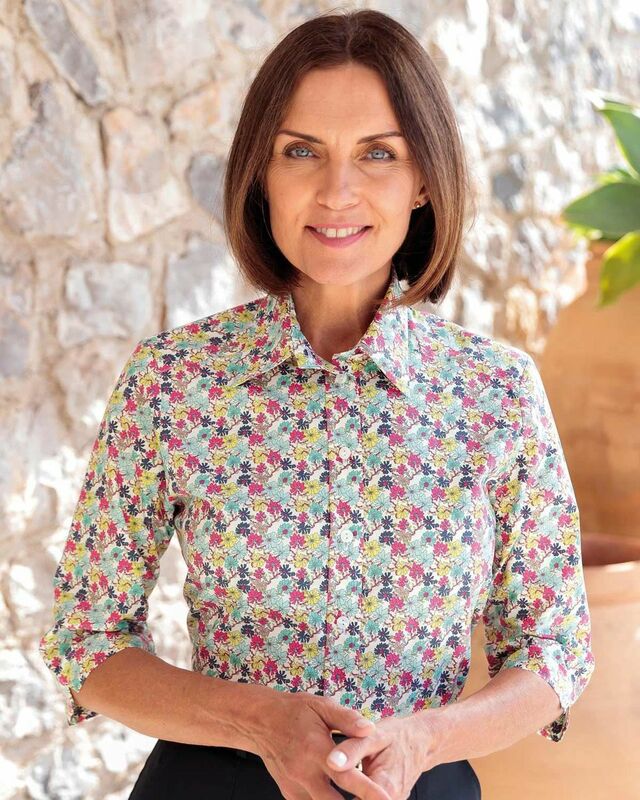 Ladies Monique Pure Cotton Blouse in a distinctive floral design. Ladies pure cotton three quarter sleeved style designed to cover the elbows finished with a ‘V’ cut on the sleeve hems. Distinctive floral design in shades of cyclamen, mimosa, aqua and navy on an ecru base. Straight hem and side vents. A stylish addition to your wardrobe.